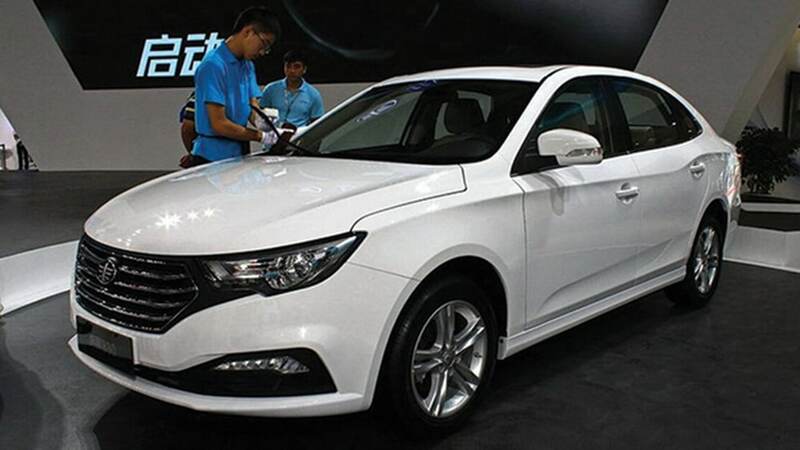 With an increasing demand for electric vehicles, FAW has also taken a step forward by unveiling its new all-electric version of B30 Sedan. 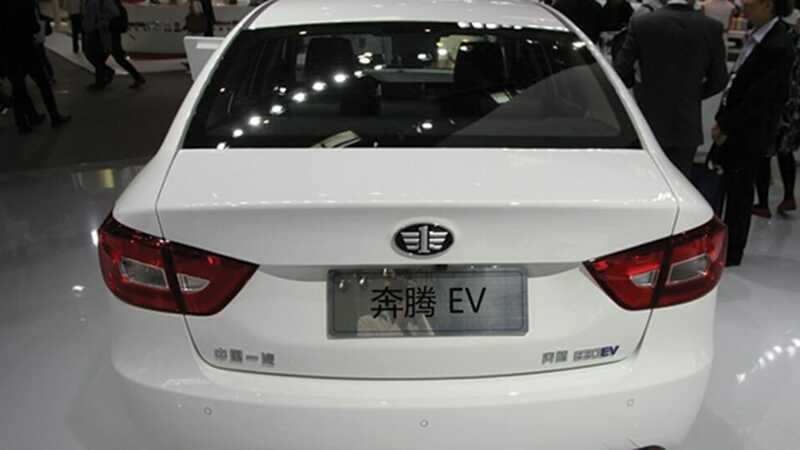 Last week, the electric version of B30 called B30EV, which was first displayed at the Beijing Auto Show in 2016, has been launched officially in China. The overall look of the vehicle remains very similar to its predecessor; a hexagonal air grille and headlamps have been installed in the new electric variant of B30 Sedan. Furthermore, the back also remains same with an addition of EV badge and a diminution of the tailpipe. The B30 EV can travel more than 200kms on a single charge. The car has been packed with a powerful 109hp motor and a long-lasting 32.2kwh lithium-ion battery. It has a top speed of around 140km/h. This means that you can go from Peshawar to Islamabad, Hyderabad to Karachi, and Sahiwal to Lahore with a single charge. Current statistics show that China has the largest number of EVs on roads right now – surpassing the number of EVs in the USA. According to reports, China’s highly competitive market sold 507,000 EVs and PHEVs in 2016, showing an increase of 53% in demand as compared to 2015. FAW has made a strong impression on Pakistan’s local market, especially with V2 which has been gaining attraction due to its superior quality compared to similarly priced alternatives. The majority of car lovers in Pakistan is still hesitant when it comes to Chinese manufactured cars — however, with this latest model and its impressive specifications, people just might start thinking differently. 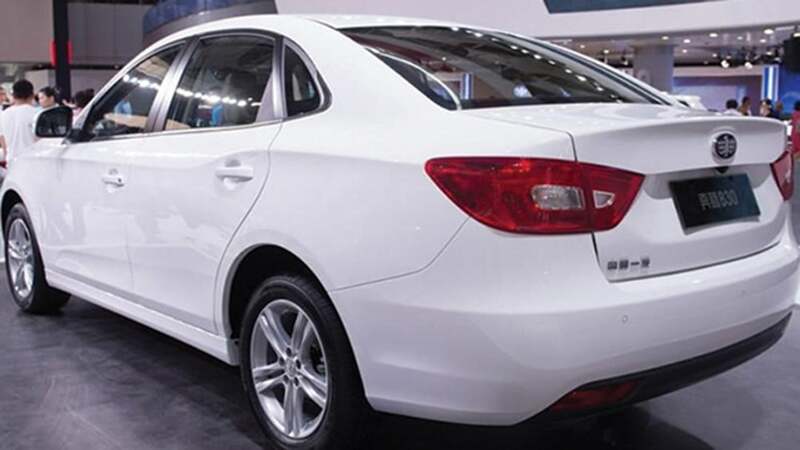 Copy of Suzuki Ciaz …. you idiot suzuki ciaz is a itself is a copy of honda city and ciaz does not include chrome grills nor rear lamps look nearly as cool as in FAW, you pathetic do you even know about car designs in the first place??? Why don’t u Indians f… yourself. Hiding your id can’t hide your ugliness n smell. it doesn’t work that way. When they say 200 miles which means if you drive more than 65 miles per hour then miles will reduce to 30 % less which is 140. Driving above 65 miles eat up your battery fast. I own electric car since last 4 years and i know how it works. this aint coming in Pakistan. They even didn’t launched the automatic version of their car here. One of the first EV’s formally imported from a dealership, with claimed service support. Few questions about the product. What’s exactly battery specs., effective charging rate from domestic home socket, and how many units would be consumed from a zero battery to fully charged battery i.e., 100% charged prompt on the screen, under todays temperature, humidity. How many effective charge cycle, mean charge, drain, cycle of consumption of the car would battery last. The LioN (Lirhium Ion) Battery is a very special battery. The data is public and available @ IEEE, OICA, SAE, API etc., What will be cost per charge on standard Commercial Tariff declared by NEPRA, and is there any charging stations for fast charging. I noticed today the Ad. of FAW B-30EV local dealership 1st previewed in 2016 in Beijing Show followed by 2018 display Based on 109hp Li-Ion Battery 32.2KWH Top Speed 140 KM/H. With the demise of the Engineering Development Board, special tariff an economic Bonanza of local dealership. As Chinese origin product with the worlds largest market please provide thru PP the important factors for the knowledge of prospects. Battery detailed specs., life cycle in use as hours or days for replacement. Battery origin, brand, warranty, charging time for full 32.2KWH, and distance travelled from the quoted journey from Karachi to Peshawer with Aircon. What is the charging rate from car alternator to battery. How many KM trail been conducted in Pakistan for the long distance travel with the ambient temperature prevailing in Pakistan. Charging time required at home power socket will be enough to charge the battery safely, and the Electric meter load on electric Regulatory Authority NEPRA bench reccomendation. Has NEPRA allowed the DISCOS to allow electric car charge batteries. Would a separate battery be provided as back up. What are the reccomendations from the Chinese Authority of Road Safety and Vehicle Standards for the integrity of electric battery, altenator, HVAC., head light, heater, reading light, LED fog lights, head lamp LED, etc., It is a compliment to the environment, country if it is done with win win spirit the car should be run for the life cycle and conribute to the environmen and the energy crisis which Pakistan is facing this summer. Best wishes on your initiative to digitise Pakistan.